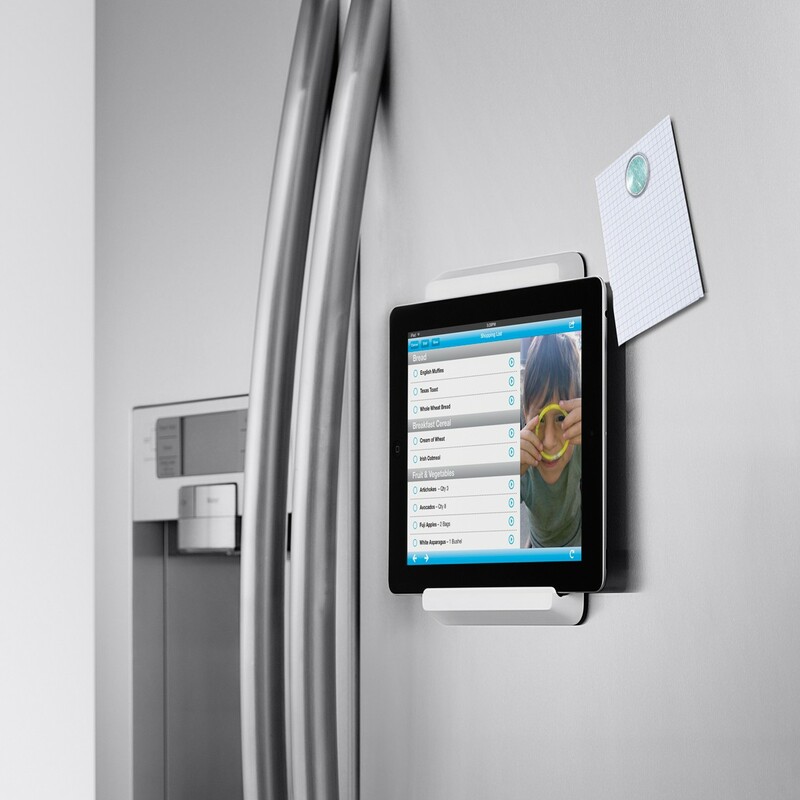 The Fridge Mount is a great way to keep clutter off your fridge door, get rid of those little notes and reminders floating round your kitchen. Now you can keep all your things to do, recipes, photos and appointments on your tablet without fear of misplacing them. The Fridge Mount lets you conveniently position your iPad 2 in the kitchen. The minimalist design stylishly keeps the iPad 2 safe and secure. No tools or hardware are needed and no permanent installation is required. 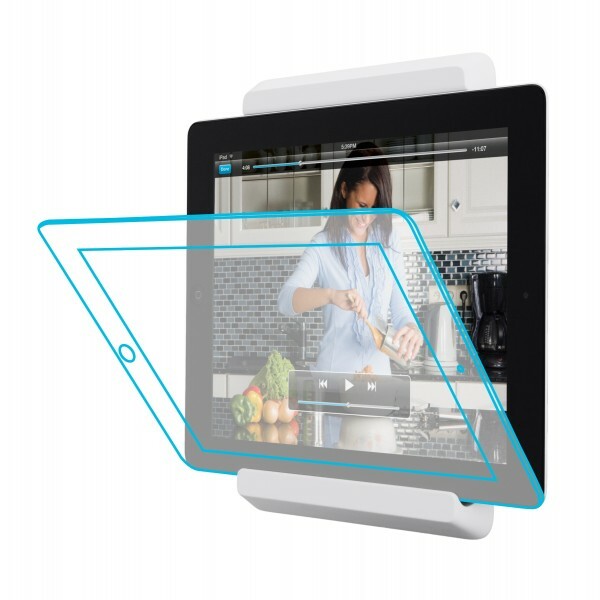 Supplied Maximum-strength 3M™ Command™ Strips snap the iPad 2 firmly in place and attach securely to a fridge, cabinet or wall without damaging surfaces when removed.